Walk for a Well is a walk/run-a-thon event aimed at raising funds to buy water wells for people without access to clean water. Over the past three years our small town has raised over $22,500! 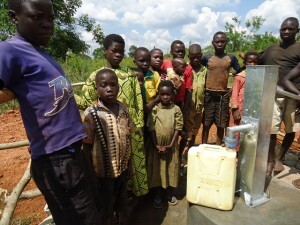 Our mission is to provide clean water, our motivation is to show Christ's love to all! We hope you join us either by donating, volunteering, participating and praying. Thanks for all the love and support! 06/22/14 Lindsey Mizell $100.00 For Caroline Brown. Way to rock it! 06/17/14 Susan Woods $46.00 Go Esme Maritz - Good Run!